A yearly reminder that Krishna intervenes in human affairs, so that we'll have something to talk about besides the same old mundane news—none of which is ever really "new" anyway. 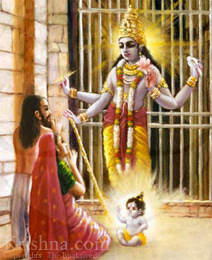 What's So Special About How Krishna Appears? Why Does Krishna Appear Here?